So what's this festival that falls right after Chinese New Year when everyone is already back to work? 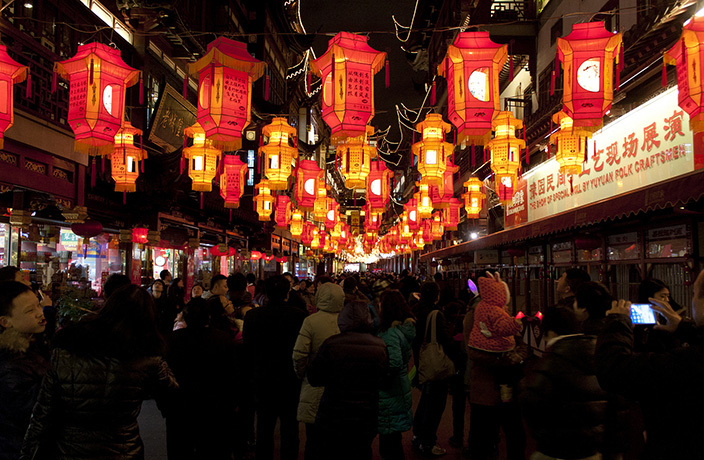 Lantern Festival is a traditional celebration that takes place each year on the 15th day of the first month of the Lunar calendar (usually February or March). This year it takes place on February 19. 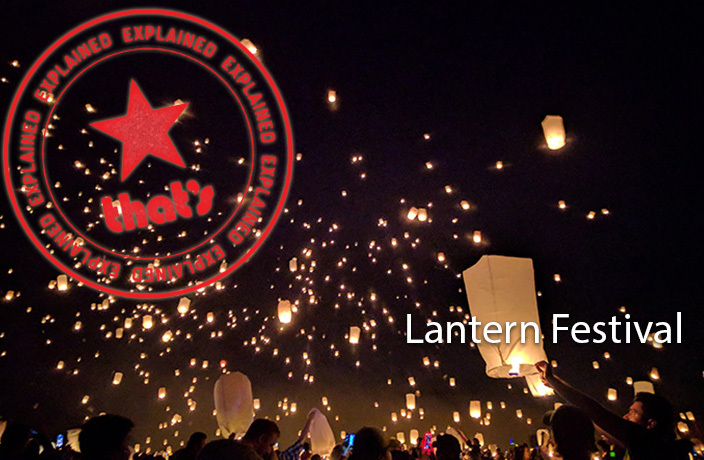 Although Lantern Fest isn't an official public holiday, it's been around for over 2,000 years. Activities include lighting fireworks and watching lanterns while the full moon is present. Other than the sight of magnificently illuminated lanterns and the launching of fireworks, this day is celebrated through a variety of other activities. One such custom is the riddle guessing game, a tradition which has been around since the Song Dynasty (960-1279 AD). Sheets with riddles are hung from the lanterns, and people are expected to guess the answers. If guessed correctly, you can receive a prize. Lion dances are another custom common to Lantern Festival, and are believed to have been first introduced during the period of the Three Kingdoms (220-280 AD). In northern China, skill is the main focus for the dances, whereas in southern China, dancing to closely resemble the movements of a lion is the key element. In addition to the lion dances, performers will also get up on stilts to try out difficult stunts. If you're in Shanghai, you can take part in the Lantern Festival at Yu Garden for a rich, cultural experience and a scene of Chinese lanterns. It only happens once every Lunar rotation, so don't miss out! This article was originally published on February 10, 2017. It has been updated and republished on February 19, 2019. Why Chinese people give red envelopes, especially during Spring Festival. Dragon dance and Chinese New Year's Eve dinner, anyone?